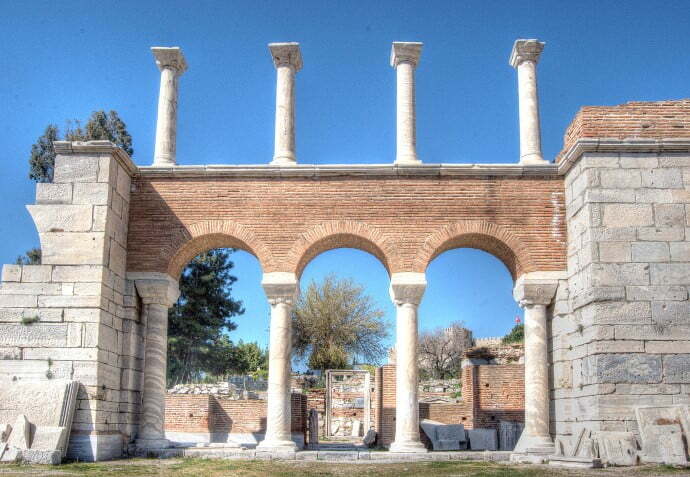 Saint John’s Basilica in Selcuk is one of those places that still intrigues me, long after my visit. 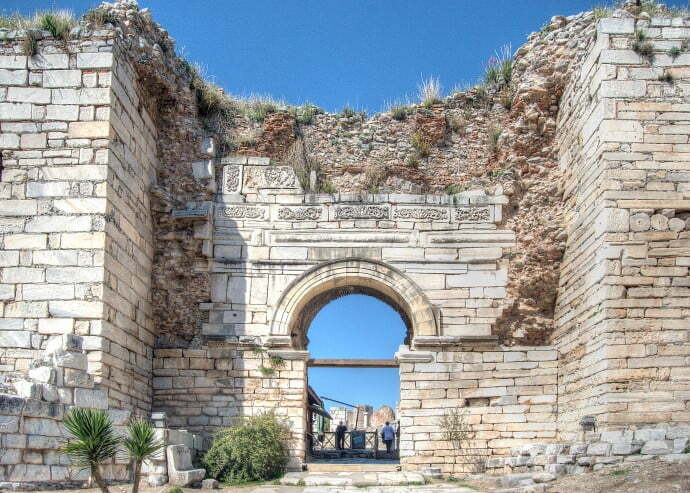 Actually, if you are a Christian, the whole district is worth visiting because the nearby grand theatre of Ephesus is where Paul the Apostle faced the wrath of the silversmith crowds, who were angry that he questioned the validity of the goddess Artemis. Also, the suspected last home of the Virgin Mary and the place of her assumption is high in the hills above the town. 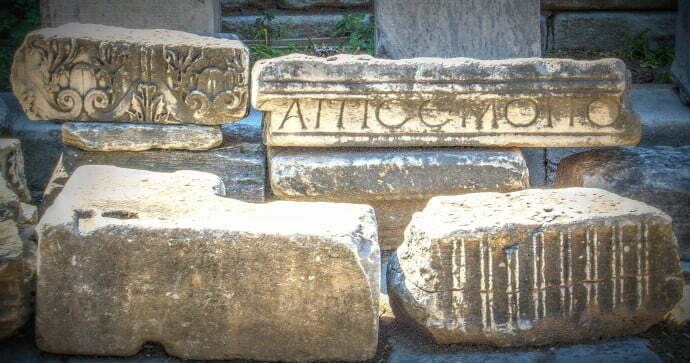 Altogether the region seems to have been a favourite biblical place to hang out. 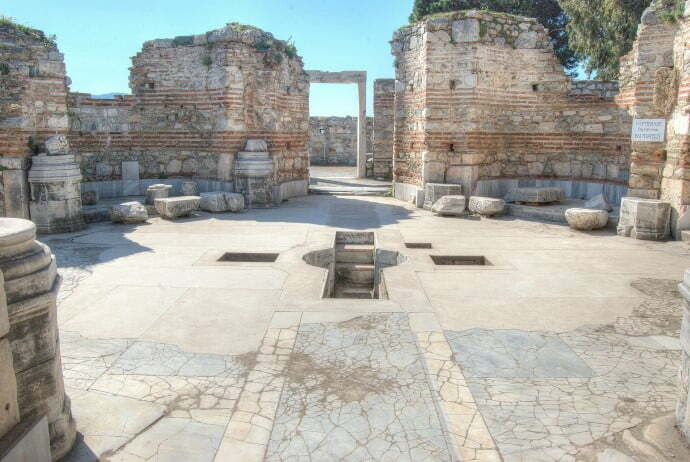 However, while the riots against Paul at Ephesus are mentioned in the Bible, there is nothing to verify the Virgin Mary’s house or Saint John’s Basilica, is where the apostle is supposedly buried. Historians proved that John spent much time in the area, and his story apparently ended at the grand age of nearly 100, and he was buried on Ayasuluk Hill. 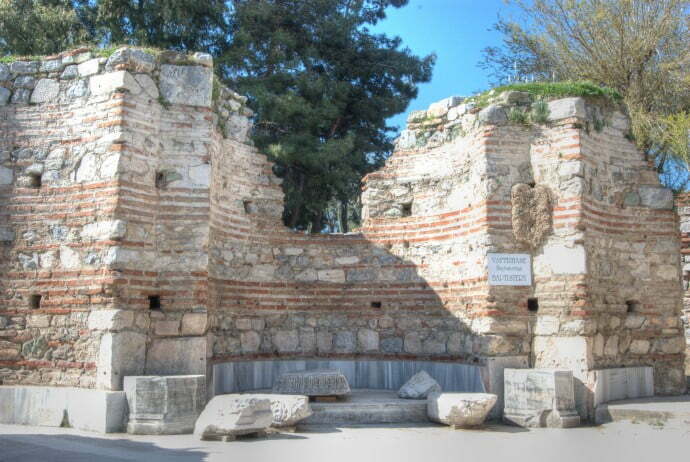 Later, when Christianity spread and became more significant, a monumental tomb was built over his grave and around 565, emperor Justinian the 1st built a church over it. Any hope of feeling some holy presence from a higher power was in vain. I felt nothing and looking around at the coachload of Chinese tourists running around; it seems they weren’t feeling the vibes either. Looking around the rest of the basilica built entirely of brick and stones, I struggled to imagine the landmark structures in their former glory. While some areas were still cordoned off for excavation, others just appeared to be a small stone building of no significance or a mishmash of ancient columns. Then I got excited. Passing by the old treasury, I came to the baptistry area, where the pool in the middle of the room was clear to see, and to the side, was a small cove, obviously of significant importance. Although the much talked about frescoes and ceiling were not there anymore, I easily imagined the past baptisms that had took place here. Continuing to follow the designated path, a stunning view appeared to the right of the nearby Isa Bey mosque down the hill. Then I reached the exit and unbelievably my visit had only taken an hour when I thought it would need longer. However, I had only just touched the surface and felt none the wiser. Signage had hung off all the landmark structures within the area, but they lacked details and much like my visit to the Isa Bey mosque, I wished I had gone along with a guide or bought a more detailed book. So is Saint John really buried there? 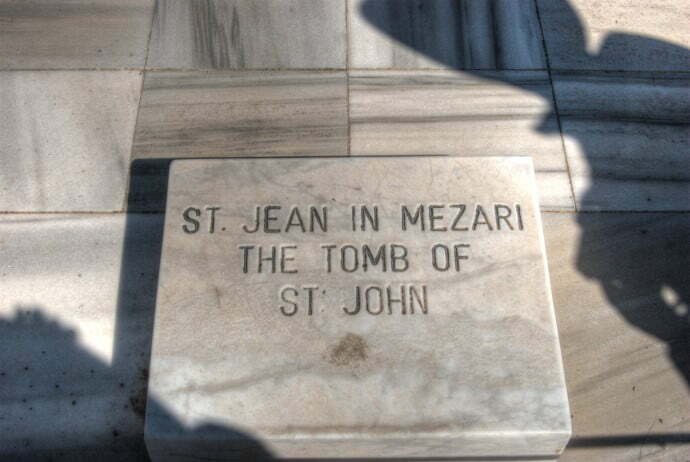 Considering the significance of this tomb, and the lack of hype surrounding it, I questioned whether Saint John’s Basilica in Selcuk is the actual burial place of the only one of the Apostles not to be martyred. Since I’m not Christian, I’m hardly likely to tap into any divine presence if there was some but for such a significant person in the Bible, the tomb and area seemed irrelevant, like it could have been anyone lying there. It is long since there was a Christian community in that area to worship at the tomb of John, but the basilica enjoyed a moment of latter-day glory in 1967 when Pope Paul VI paid it a visit and, as an inscription in Turkish and Latin records, prayed at the sacred spot. It didn’t really answer my question though of why this tomb is not a major place of pilgrimage such as the Virgin Mary’s house in the hills. Everything on the Internet and in my guide books pretty much said yes for definite, that Saint John was buried there yet none offered proof or verification, unlike other Saints such as Peter of which his burial place was confirmed by Pope Paul VI in 1968. The nearest proof that I could find was mentioned on this Catholic faith website. They say.. Archaeologists have found St. John’s grave inside the ruined basilica, but it is empty and no one knows what became of his body. And that statement in itself, now provokes another intriguing question, of what happened to the bones of Saint John? I agree, sometimes it can be really hard to envision ruins as the beautiful and powerful structures they once were. But sometimes the imagination is half of the fun! Beautiful post. Just checked it at on amazon BTB and it seems to have good reviews. Heard the stories about the nun but we still put it on my list and maybe there are some other hidden gems of info. Thanks for the tip. One question always leads to another! 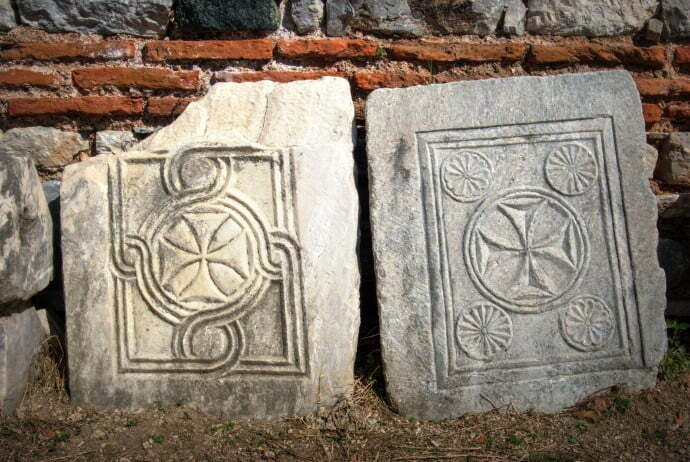 There is a good book by Donald Carroll about Virgin Mary’s House which gives all the evidence. Definitely an interesting spot and an interesting question. I guess we’ll never know!